Oh snap! The Science Channel just raised the bar for the entire television medium in terms of the way women in STEM are represented on screen. When you think of science-y shows, titles like ‘The Big Bang Theory’, ‘Mythbusters’, and a whole string of forensic science-based detective series come to mind, right? 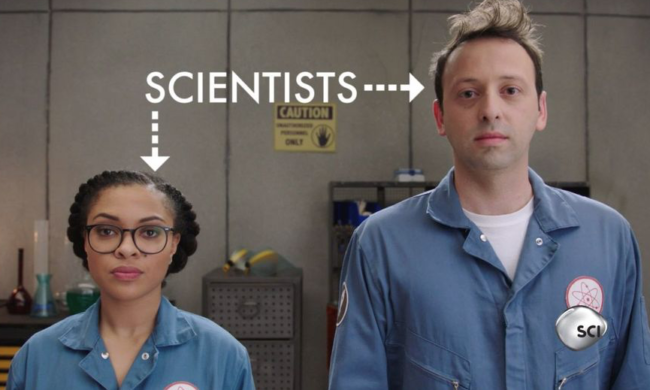 Although the presence of female scientists are certainly growing and becoming a more regular presence in this genre of TV, we’ve yet to see a reality-based show that puts them front and center alongside the men…until now. ‘How To Build Everything’ brings together the intrigue of ‘Mythbusters’, and the mastery of ‘Macgyver’ to give viewers an inside look at how things in the world are built using science. Whether it is a rocket ship or a tanning bed, there’s science involved in everyday life all around us, and this show is sure to spark the curiosity of a generation of kids in a really cool way. “It’s a great time for Science Channel as we fuel the brand with mind-blowing content. We continue to explore the ingenuity behind engineering and manufacturing while introducing a new group of this generation’s science vanguards,” said Marc Etkind, general manager of Science Channel, in a press statement. This show is for the career engineer working at NASA, as well as the curious amateur interesting in learning the science behind a built machine. And an important addition to the target audience of this show is the fact that it is also aimed at capitalizing on the momentum to engage girls in the STEM world, where the statistics show they are overwhelmingly underrepresented. US Census Bureau statistics show that the number of women in all STEM fields (science, tech, engineering and math) has greatly increased from 1970 (7%) to 1990 (23%) but the numbers have sorta flatlined from there. In 2011 the number reached 26%. Out of the four main fields, the science world does boast the most amount of women, but it is not equal just yet. While various STEM organizations are working overtime to create initiatives to engage young girls (getting in early is going to be a huge factor in the future of the gender equal workforce), television and film has a unique opportunity to amplify this agenda. All it takes is for young girls to grow up seeing female scientists on screen as normal, and it creates a massive shift on gender perception in the real world. Science Channel’s ‘How To Build Everything’ does just that, featuring women like science communicator and bug expert Alie Ward, tech expert and futurist Veronica Belmont, actress Alison Haislip, race car driver Jessi Combs, and so many more. Each episode also features a number of guest experts in their field from stunt women to tank commanders. We had the chance to talk with Alie Ward and guest contributor Dianna Cowern, aka the Physics Girl, about their involvement in this show, what they are building, and how they want the world to look at women in STEM from here on in. 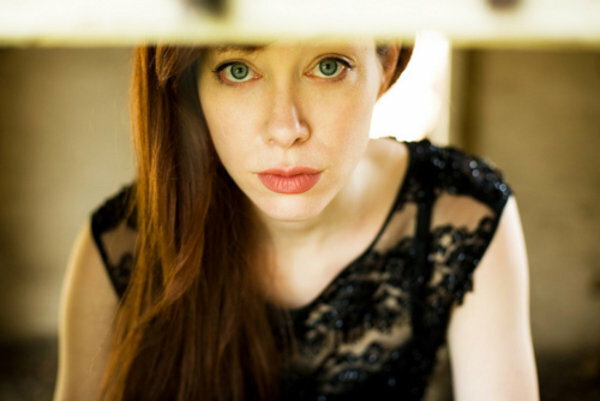 ALIE WARD – You have a lethal blend of creating unique signature cocktails on your Youtube channel, on-camera talent, and a love of science. What can we expect to see from you on this series? Why, thank you! I think my cocktail expertise was really born of my love of the chemistry lab. There’s something about exact measurements and experimentation and temperature factors that make recipe-testing feel more like scientific discovery. And, as in science — you learn from your failures. (See: ham daiquiri.) But I have wanted to work with Science Channel since I was a teenager, to be honest. I have always loved science communication and hopefully my years of goofy videos prepped me to dish up science in a way that’s relatable and doesn’t drone on too much. Expect to see someone truly giddy about science, who loves gossiping about inventions. How will your bug expertise play a role? I’ve loved bugs and studied them in my spare time since I was 10, but I have yet to convince a producer to let me wear a beard of bees or hunt for scorpions at night using an ultraviolet light. But… a girl can dream. Perhaps one day. What are you excited about most with this new show? The show is so fast-paced and wonderfully edited to both showcase the innovation and physics, but also remain super funny and weird and engaging. I’m incredibly proud of the producers at Citizen Jones and Science Channel for their work making this and honestly, I would watch the [expletives] out of this show if I weren’t on it. With the current emphasis on getting girls interested in STEM industries, how do you hope this series will play a part in this movement? I’m so passionate about science outreach, that I volunteer at the LA County Natural History Museum talking to kids about nature for zero dollars an hour just because I love it. I also work with an amazing group of brainiacs known as the Nerd Brigade to keep kids and adults engaged in science. And I find that little girls are just as inquisitive and sharp at observations and conclusions as their male classmates, so it’s not a matter of sparking science interest so much as it is retaining it. And by having female science communicators and scientists more visible, these future women can understand that STEM is a place for them and understand their incredible value in these fields. You are a very busy woman creating a Youtube series, hosting a podcast, and constantly appearing on some major TV networks. How do you have time for anything except work?!? It’s almost midnight and I’m writing this in a hotel room after flying all day and will be up early tomorrow to shoot a piece about micro hydroelectric power turbines in a Minnesota river. So I don’t have much of an answer for that! But, I have a Fullscreen show called “Slumber Party” with my best friend Georgia Hardstark, and I hang out with my Nerd Brigade friends to chat about everything from our dating lives to spaceships. Essentially, I just have made businesses with the people I love the most, so I can do both. But, dude: one day I really want to get a dog. Do you have any female science heroes that we should know about? I’m so proud and honored to know incredible women in science. So I’d say my heroes are the women who inspire me all of the time: Cara Santa Maria and Dr. Teagan Wall who are both neuroscientists and fellow ‘How to Build Everything’ contributors; Dr. Meg Rosenberg, who studies moon craters; Dr. Crystal Dilworth, a Discovery science communicator and neuroscientist; Holly Bender, an optics engineer at NASA’s JPL; Katie Mack, an astrophysicist; and Lila Higgins, an entomologist at the NHM.org. I also absolutely adore the science communication of Mary Roach and Amy Stewart. And from a historical perspective, Maria Sibyl Merian was an amazing naturalist and Ada Lovelace and Hedy Lamarr were both, of course, total badasses. The more visible women in science are, the more we’ll see women navigating themselves toward those fields in the future. Science is everywhere and curiosity keeps humans excited. I’m stoked to do it for a living. DIANNA COWERN – As the physics expert, can you break down in layman’s terms what physics is and does in the world? If you’ve ever wondered how stars glow, or why rainbows form, or why things always fall down instead of up you’ve asked a question about physics! Physics is the study of how things interact, how they move, how they change. Physics tries to figure out how everything in our universe works, from the most massive and oldest galaxies, to the tiniest particles that live for only a fraction of a second. As physics is part of the everyday world around us, can you talk us through how it is part of things such as a steamroller, a tanning bed, and a pipe organ? There’s no escaping physics in our every day lives. It is especially important in the technology we use. For example, a steamroller uses the property of mass and weight. The roller is often very massive, and therefore able to apply a large force to the ground and flatten it out. A tanning bed uses physics. The tanning bed uses ultraviolet rays, which are high-energy light rays, just beyond violet in the electromagnetic spectrum, that are absorbed by your skin causing it to produce melanin – that’s what makes it look darker. A pipe organ uses a property called resonance, which is the vibration of air in a tube to create a note. 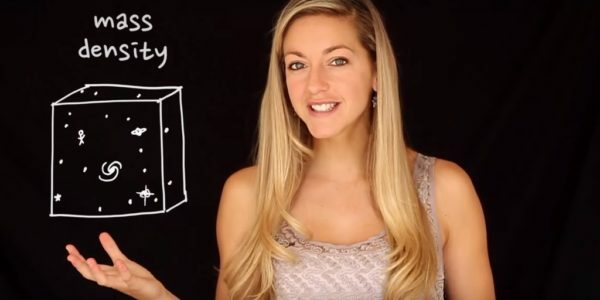 A rocketship uses some of the most fascinating physics! As a rocket burns fuel, it shoots very hot, very fast gas out the back. Newton’s laws will tell you that every action has an equal and opposite reaction, or force. When the rocket pushes the gasses out the back, the gasses push back on the rocket propelling it forward. Given the huge lack of women in the science world, it’s so cool that young girls get to watch TV and see a female physics expert like you! What does that kind of role model representation mean to you personally? Throughout my life, my role models have been people that broke the mold. They’ve been young leaders among seasoned veterans, people who have overcome hardships, and people who were confident despite being different. When it comes to science, it is not about gender, it is about the science. I hope to reach young women and show them that awesome physics research, when done by a woman, is still awesome physics research. Her ability, curiosity, and perseverance can be just as strong. 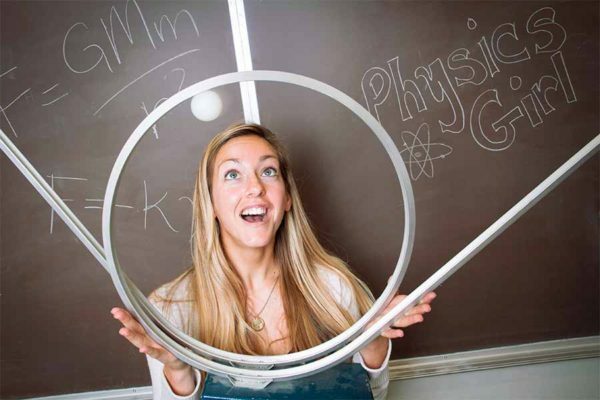 What would you say to girls who want to get involved in physics? Feed that curiosity! Start looking up some fun DIY experiments online. Check out how to build your own rocket, or how to make a rainbow with a prism. And start reading some books.